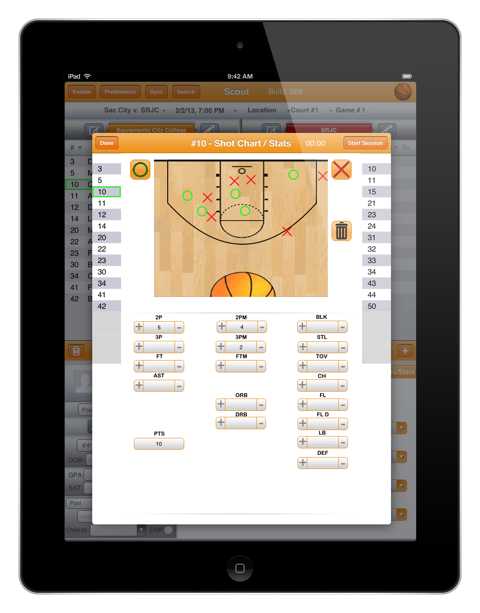 Leading girls' basketball scouting service introduces cutting-edge technology for coaches. We are very excited about our new partnership with SportsBoard, said Michael T. White, founding partner of All Star Girls Report. This new mobile app will lift the level of our service to our clients to a new level. Michael T. White and Bret McCormick of All Star Girls Report are thrilled to announce a unique partnership with SportsBoard that will result in a revolutionary mobile app (iPad and iPhone) to hundreds of college, high school and AAU club coaches. The ASGR app will enable college coaches to merge ASGR’s scouting data on the top-rated players with their own assessments of the elite talent. Since 1995, All Star Girls Report has provided hundreds of clients with superior national coverage of 5,000 top prospects on a yearly basis. Bret McCormick, All Star Girls Report is a trusted source of national championship programs, Hall of Fame coaches and AAU club teams. The ASGR App will enable college coaches to leave binders and notebooks behind, allowing them to access team rosters for all ASGR tournaments and scout with their iPads or iPhones, recording text or scribble notes, basketball-specific ratings, shot charts and stats, photos and videos. The ASGR App will also contain game schedules and venue floor plans for every ASGR event, saving coaches the trouble of leafing through pages of tournament handouts. SportsBoard’s iPad and cloud-based technology for recruiting, season and camp activities has been adopted by over 150 college athletic programs, including perennial powers Duke men’s basketball and North Carolina women’s basketball.